Ask me 6 months ago about my interest in the country Brazil, the idea of travelling there, its people, its cuisine…I would have simply shrugged my shoulders and rattled of a list of other places round the world I longed to visit. I could have given you diverse reasons for my desire to travel to Spain, Italy, the ever familiar UK or NYC. But Brazil…no….It has long been a place I wanted to travel too….one day…someday….When exactly? Not fussed. Who with? Not sure. Why? No particular reason. Ask me now about my interest in Brazil and the idea of travelling there…..And you would struggle to shut me up. Yes, it is strange how the passing of time, the willingness to be open to opportunity and challenge…creates a space for one to explore, ponder and dream. Six months ago, I started a job at Sydney University as an Internship coordinator, placing International student’s in a broad range of workplace internships throughout the city. I worked with students from the USA, UK, Germany, Sweden and Norway….Brazil…not so much. Fast forward a couple of months, and due to a Brazilian government scholarship fund, which enables Brazilian students to study abroad all expenses paid…. I have placed in excess of 190 Brazilian students in research internship placements…and the program isn’t showing signs of slowing down in 2014. 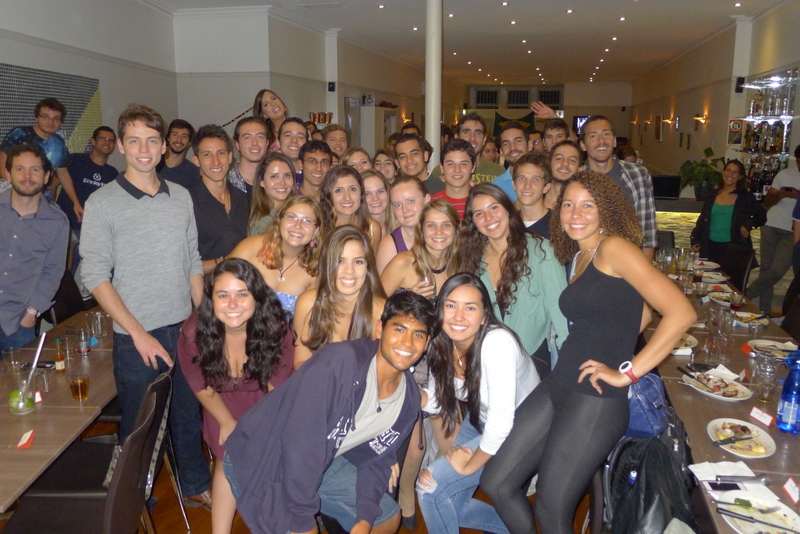 Through this student group, the interaction with academics and peers…my love of all things Brazil has grown…..I might not speak Portuguese but I have can speak Portuguese English VERY well…. ‘Worked’ is pronounced ‘ Work – ed’ eg I work-ed at the bank in my home country. May the day soon dawn when I turn the computer off, put down the data entry….put on my Havaiana flip flops…and board the next plane to Rio….